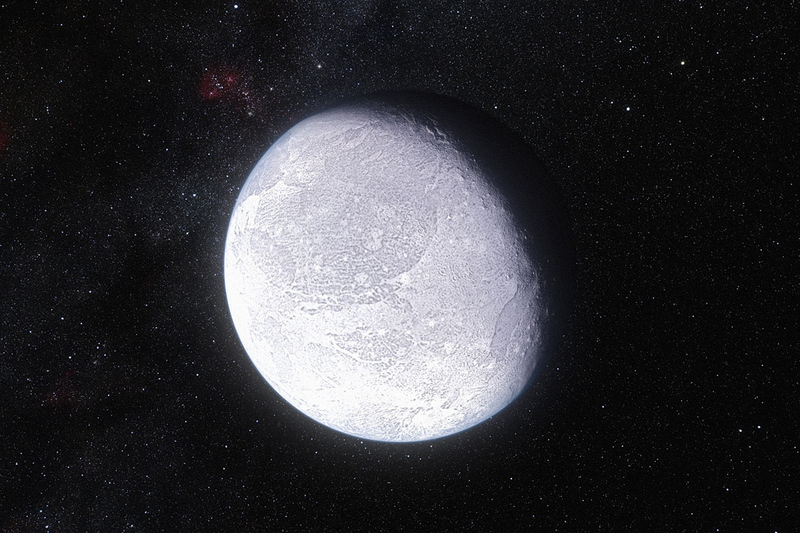 According to new study though the dwarf planet Eris on the edge of the solar system is much denser than Pluto, the two frigid worlds are nearly exactly the same size. Astronomers accurately measured Eris’ diameter for the first time using observations made late last year, when they caught the dwarf planet as it passed in front of a dim star. The observations, made using several telescopes in Chile, revealed that Eris and Pluto are pretty much identical in size, making them almost perfect twins. Eris was first discovered in 2005. Eris and Pluto both occupy the Kuiper Belt, the distant ring of frigid bodies beyond Neptune. But Eris is even farther-flung than Pluto, circling our star from about three times farther away. The new observations should help astronomers learn more about Eris’ composition and evolutionary history. They show, for example, that the dwarf planet has a surface even more reflective than Earth’s snow, suggesting it’s covered in a thin layer of ice. Eris’ diameter is 1,445 miles (2,326 kilometers), give or take 7 miles (12 km). The researchers peg the dwarf planet to be about 27 percent heavier than Pluto, which means it’s considerably denser than Pluto as well. Eris’ surface was also found to be extremely reflective, bouncing back 96 percent of the light that strikes it. That makes Eris one of the most reflective bodies in the solar system, roughly on par with Saturn’s icy moon Enceladus. Researchers believe Eris’ surface is probably composed of a nitrogen-rich ice mixed with frozen methane in a layer less than 1 millimeter thick. This ice layer could result from the dwarf planet’s atmosphere condensing as frost onto its surface periodically as it moves away from the sun.